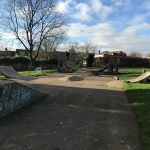 Dynamix Skatepark is Newcastle’s only indoor skatepark, set in an old 40,000 sq ft. warehouse that was once completely run down but through the work of local volunteers have turned it into what it is today using reclaimed materials and recycling materials that would otherwise be wasted. 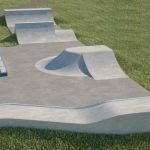 What has been created is a series of bespoke ramps, bowls, jump boxes, spines and two foams pits. The obstacles are wooden on a concrete base and have been arranged in a fairly unique way to provide many lines and challenges for all types of riders of all abilities. It is still in its early days however they have got a good set of obstacles. Gateshead Stadium metro: Exit the metro station onto St James’s Road and head north until you meet Park Road. Here turn left and follow it along until you see Albany Road on your right. 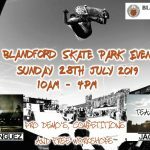 Follow this road around and Dynamix skatepark will be there. Saltmead Industrial Estate bus stop: Exit the bus stop and Albany Road will be in sight, take this road and Dynamix skatepark will be down here.